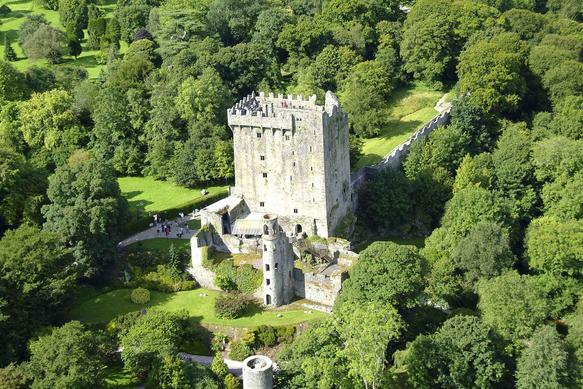 One of the most visited attractions in Ireland is the 600-year old Blarney Castle. Thousands swarm this southern Ireland castle every year. This castle is notorious for the Blarney Stone – that block of limestone built in the castle’s battlement. For two decades people from all over the world climb the steps to reach the main tower’s top and kiss the stone for its promise of the “gift of eloquence.” People have attested to its power being unquestionable. Aside from the legendary and powerful stone, the Blarney Castle is also known for its beautiful floral gardens spread magnificently over the 60 acres of land. So, Blarney Castle surely is one of the most beautiful castles in Ireland. This Folk Park fortress dates as far back to 970 A.D., and it was used as a Viking trading camp back then. The Bunratty Castle is located in southwest Ireland, a mere seven miles from the Shannon Airport. The castle being visited today is actually a fourth structure. The first three were all destroyed during battles. If you want to enjoy a unique and traditional Irish medieval feast, you should book for a banquet at the castle. Women dressed in traditional medieval gowns serve the food – potato soup, hunks of meat (pork), bread and goblets of mulled mead. To complete the medieval appeal, guests sit on long wooden bench while they dine by candlelight and with medieval music in the background. 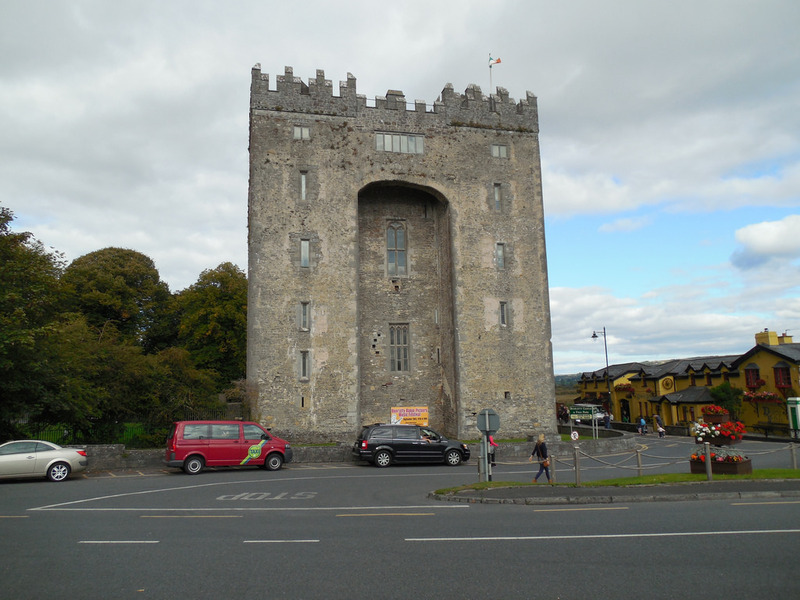 So, Bunratty Castle has to be one of the must-visit Castles in Ireland in your trip to Ireland. 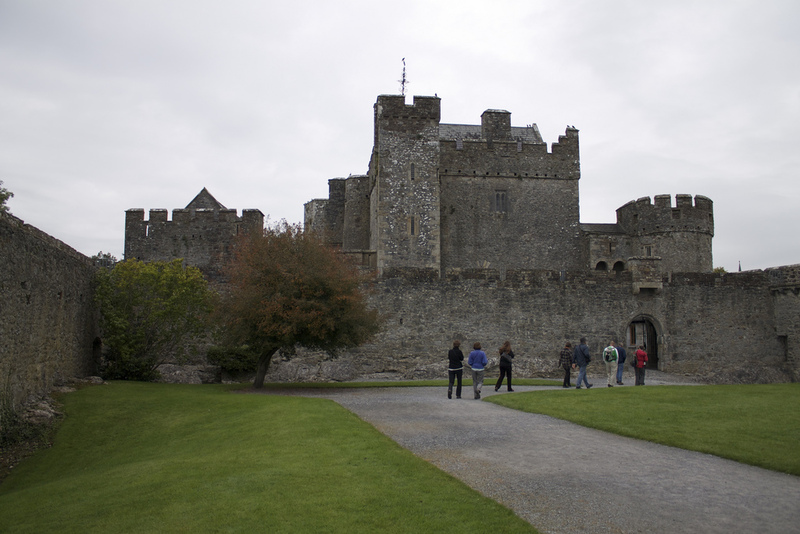 There is one castle in northwest Ireland that is very popular because of its architectural appeal, the Doe Castle. The structure of this Irish castle simply looks so cool and it is perfectly surrounded by water on three sides because it was ideally built on peninsula, making it appear to be floating. Viewing the castle from a distance – like from the Carrigart-Creeslough, road ten miles away from the Dunfanaghy village, can be an experience of lifetime. If you like wandering on your own and you do not mind not having a guided tour, then you should take on the adventure that this castle offers. 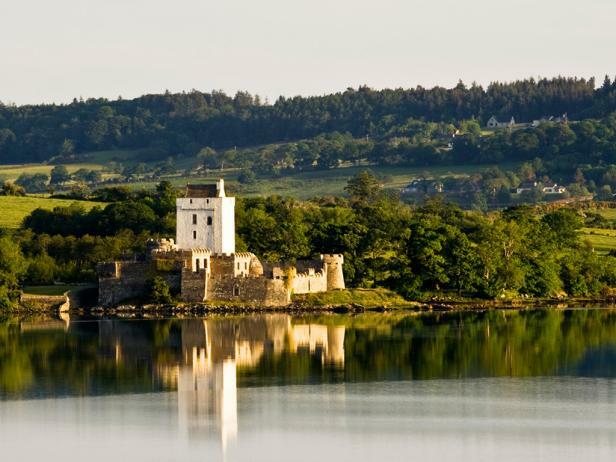 Thus, Doe Castle is one of the most popular castles in Ireland. The Cahir Castle is one of the most fortunate castles in Ireland. While many are crumbling due to neglect and the lack of restoration programs, this one managed to keep its glory. It is one of the best preserved and the largest medieval fortresses in Ireland. The tower, the defence structures and the keep are all just the way they were when it was built in 1142. A guided tour will give you the chance to explore this former stronghold and enjoy the scenic views of the countryside from the tower top. As a bonus, you also get to watch the Cahir Castle and the Tory of Irish Castles – a 15-minute documentary movie. So, if you plan on visiting the most beautiful castles in Ireland, you have to visit Cahir Castle. 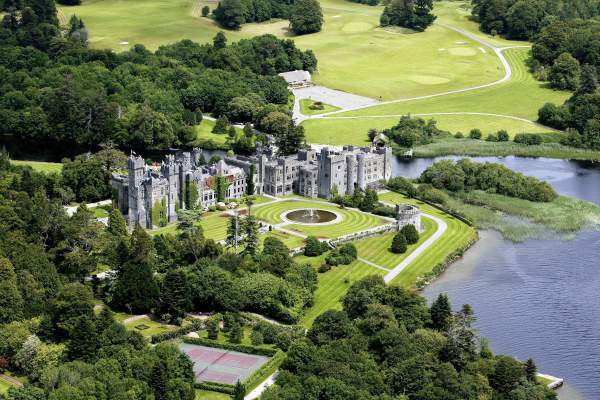 If you are a romantic and longing to see a fairytale style castle, then you should head off to western Ireland’s County Galway and visit the Ashford Castle. The Guinness family used to own this well-preserved castle which was eventually turned into a luxury five-star hotel. This means that you can stay the night at a real fairytale castle – for a hefty price of course. These are the top five awe-inspiring castles in Ireland. And you can’t miss visiting one or more of these castles in your trip to Ireland. 4 Comments on "5 of The Most Awe-inspiring Castles in Ireland"
How about O’Brien’s Tower on the Cliffs of Moher? Not necessarily because of the castle itself, but because of the location. 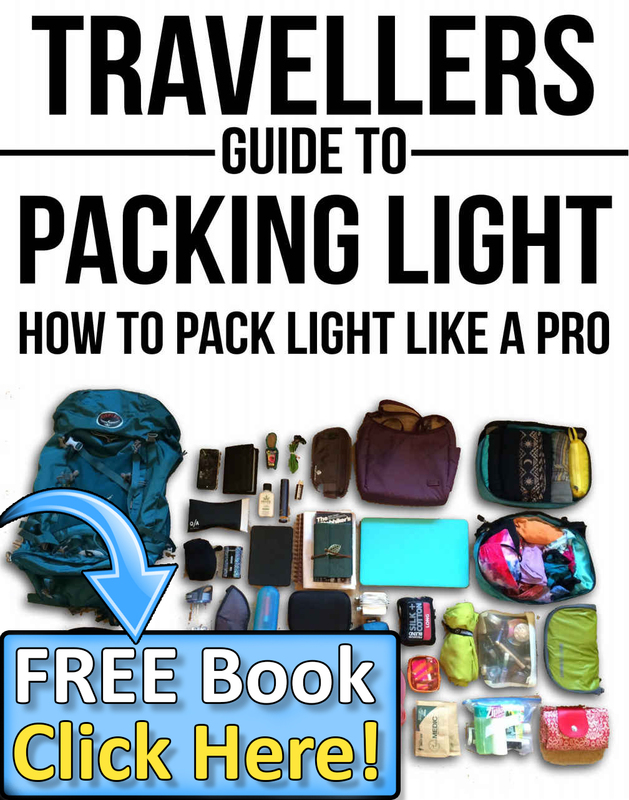 Great list, but I personally think The Rock of Cashel should be up there too! Just pure amazing architecture. Dromoland castle..one of the finest + 5 star accommodation etc.